I, myself, took this same action and wrote about it on this blog. The reaction among readers ranged from agreement on the strategy to "what, are you crazy?" The reason for the latter opinion is that many stable value funds held bonds that had always been solid and conservative in the past but, in the midst of a real estate melt-down, were now at risk. I am talking about mortgage-backed securities issued by the likes of Fannie Mae and Freddie Mac. Many observers began to suspect that some stable value funds could find themselves in trouble. If some fund holdings deteriorated, the funds could offset that problem by reducing the interest rate delivered to investors. If fund holdings really went south and large numbers of investors tried to redeem shares at the same time, there was a fear that shareholders would not receive full value of their principal. There was even speculation that a fund might fail. Well, we have come quite a ways from the dark days of late 2008 / early 2009 and there haven't been any outright failures of stable value funds and very few instances of shareholders failing to receive full value of their principal upon cashing out. On the other hand, stable value funds have not skated through this mess without feeling some impacts. Though investors did lot lose funds, they also failed to make much money. The primary impact to stable value funds has been a decrease in the rate of return. Funds used to promise that investors would receive a certain interest rate on the cash invested. As stable value funds worked their way through the crisis, however, interest rates seemed to drift lower and lower. I have not done a wide ranging survey but using my own fund as an example I see that rates have dwindled to practically nothing, probably due to the fact that U.S. Treasury bonds now make up a larger proportion of fund holdings. The question at this point is what to do with those stable value fund holdings. The market has moved up strongly since March of 2009 yet stable value funds have returned very little. It's decision time. If you still have substantial sums stashed in your stable value fund, it's time to think about redeploying some portion of it. Otherwise, it is virtually dead money. 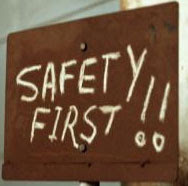 Are you willing to pay that price for safety? To read more posts from TradeRadar on 401Ks and stable value funds click this link.